We were provided with product in exchange for this post. All opinions are our own. We LOVE Vampirina! She is the cutest Ghoulish vampire that ever went to live in Pennsylvania. When we caught a sneak peak of the new line of Vampirina Toys, we were both shocked and intrigued because it was like nothing we ever saw. I knew it would be an epic show when I found out it was a Disney show. Today's the day that you can finally bring Home the Fang-tastic Fun this Halloween Season on Disney DVD! But Wait... before you run out to the stores, how about you try and win your very own copy? 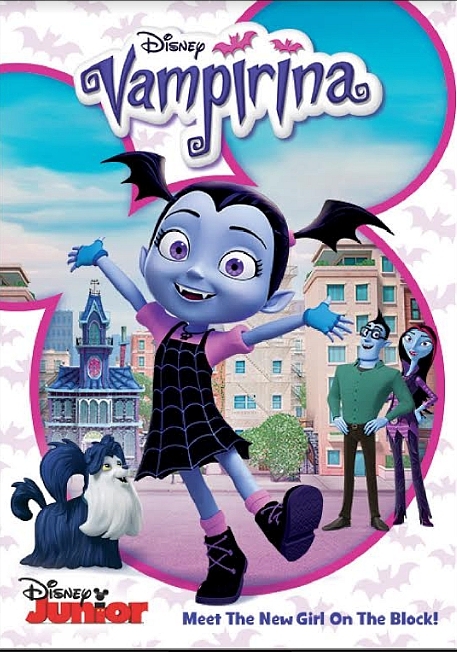 A young vampire girl, Vampirina (aka Vee), is the new kid in town after her family moves from Transylvania to Pennsylvania. In her unfamiliar surroundings, Vee first tries to adapt, change and blend in with her schoolmates but ultimately she learns to appreciate her unique individuality and her friends' too. Whether they’re making their own music videos, planning a party or throwing a sleepover, Vee and her friends always figure out how to have fang-tastic fun! This is honestly a great show and the messages are fang-tastic. To win is very Easy, Just follow the steps Below! I have not seen this show before. Thank you. I haven't seen this show either but it looks cute. i haven't seen the show but i know my kids will enjoy it. Looks really cute and my granddaughter likes it. I was recently in a waiting room at a doctor's office. Vampirina was on the tv (disney channel, i think). What I liked about it was the way it made the two little kids watching it just giggle like crazy. I have never seen this show before. But I have a friend who has a granddaughter that loves this show. We have not seen the show but looks entertaining! i like that the show has a cute message of liking people different than you. I love how much my granddaughter loves the show. My daughter loves the music and characters and I like the message of the show. I like that the movie shows that people can be accepted even if they are different from us. It looks like something my kids would enjoy. I like the message it gives as well as just being a fun show. I haven't seen it, but this looks just like something my niece would really get into . I love that my 2 daughters really enjoy it! I haven't seen the show yet. 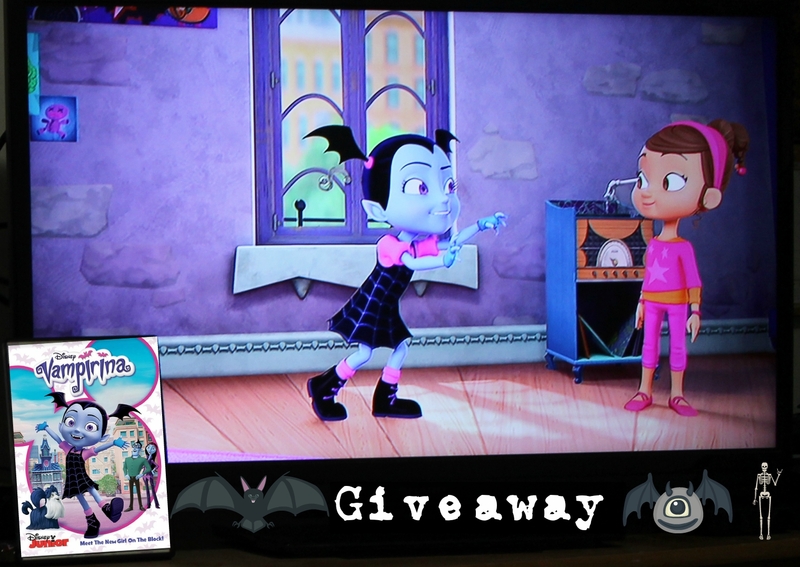 My grandchildren would absolutely love the cool Vampirina DVD for a fun time. I have grandchildren that would definitely like watching the Vampirina DVD for an amazing time.